We kicked off the day with Ryussi who gave us the goods on their proprietary SMB stack they call “MoSMB” – SMB with Mojo! In a nutshell MoSMB is an ultra lightweight SMB 2.x and 3.x stack designed for with the future in mind – a future where NVMe, high CPU core counts, and high bandwidth/low latency connections rule the day. MoSMB was designed for highly scalable environments with an unique modular and pluggable architecture. Our second presentation was with StarWind. Many of you know StarWind as the company who makes iSCSI target software, but think again, they have quite a robust HCI and stand-alone storage play as well. Next we met with ElastiFile – A company building a software defined file system that can work on local hardware or in the cloud. Very interesting tech and these guys really knew their stuff. Lastly and probably the highlight of the day was meeting with Excelero – Who used our session to announce coming out of stealth. Excelero is making some really fascinating NMVe Mesh software technologies. The goal of their software is to create software that can connect commodity servers with NVMe devices into one large pool of storage with no loss of disk spec IOPs and throughput whether the data is accessed locally or remotely – and from the demo was saw they have succeeded spectacularly. With this demo hardware, Excelero showed us 4 MILLION+ IOPs at 0.2ms latency. Whoa! I guess this is why DSSD got dumped. Basically Stephen and his talented team bring together a group of rotating tech startups and established industry big boys for several days of product and vision presentations that are live streamed in beautiful HD to the whole world, all the while being challenged, grilled, and questioned by a group of independent community experts called the TFD Delegates. These presentations are not to be missed and are truly a unique way for tech companies to spread their message and be challenged by the community in real time. Chan Ekanayake is the Lead Architect & Practice manager of the Hybrid Cloud practice at Insight UK, specialized in Public & Private Cloud, Datacentre Virtualization and Enterprise Storage (SAN) with over 14 years of hands on IT consultancy experience in the field. Passionate storage technology enthusiast who enjoys the learning as much as the sharing. I like punk rock and storage arrays. Storage, back-up and server virtualization consultant based in the southern part of the Netherlands. Once again, thank you to Stephen Foskett and his team for putting together such a wonderful event and inviting me to participate in my first full #TFD #SFD event. I’m looking forward to a great week, making many new friends, and getting my mind blown by some seriously smart people. Be on the lookout for many new blog posts and twitter battles this week! During today’s analyst event in Boulder, Colorado, the home of SolidFire, there was some big news dropped on the storage industry. SolidFire has announced a plan they are calling “FlashForward”. The “FlashForward” program is essentially a capacity based licensing model for the SolidFire software, designed to separate out the capital spend on hardware and software. SolidFire has grown up in the service provider space and as such has seen unique trends in the industry. Gone are the days of licensing being tied to hardware. Gone are the days of rigid pricing models that don’t fit the on-demand nature of today’s businesses. The whole idea here is to offer supreme flexibility in a dynamic allocation pricing model. This is really going to be game changing for the segment of storage buyers that are creating dynamic storage environments and want to break away from the traditional model of storage purchasing. 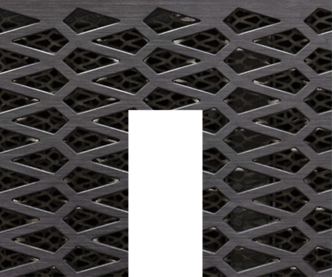 Here are some of the juicy specs of this new beast of a storage node: Twice the performance and capacity in the SF Series – and lowest cost per GB/IOPS. 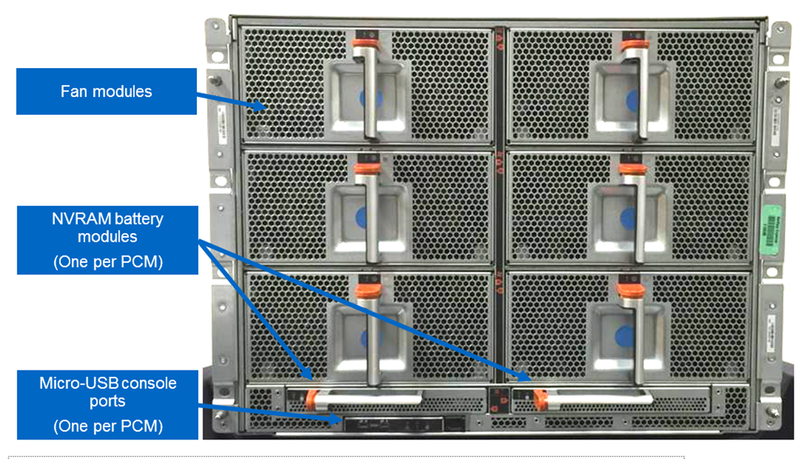 Up to 40-80TB effective capacity, 100,000 predictable IOPS and sub-millisecond latency. This new node is going to be well suited for those huge database application needing massive IOPs and throughput. 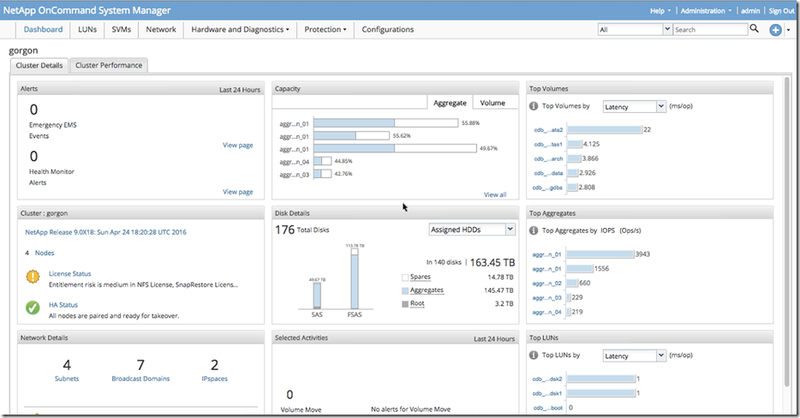 ● Integration with VVols – By integrating SolidFire’s Quality of Service (QoS) with VMware VVols, customers can achieve the most granular control over storage performance on a per-virtual machine (VM) basis. 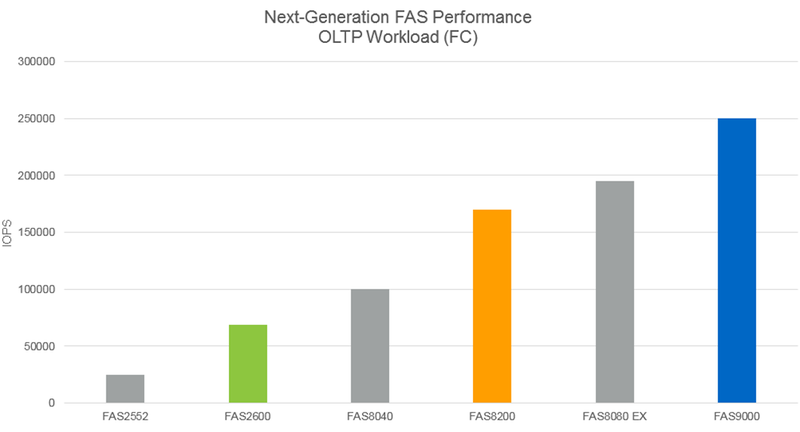 This functionality allows them to set min, max and burst IOPS levels, ensuring exact amounts of capacity and guaranteed performance for even the most performance-sensitive VMs. 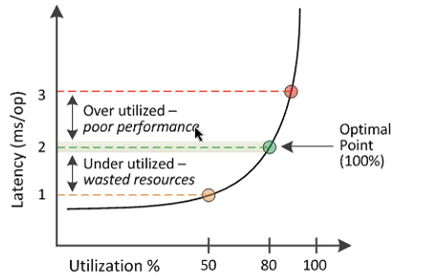 Both capacity and performance can be changed on-the-fly without migrating data or impacting performance. 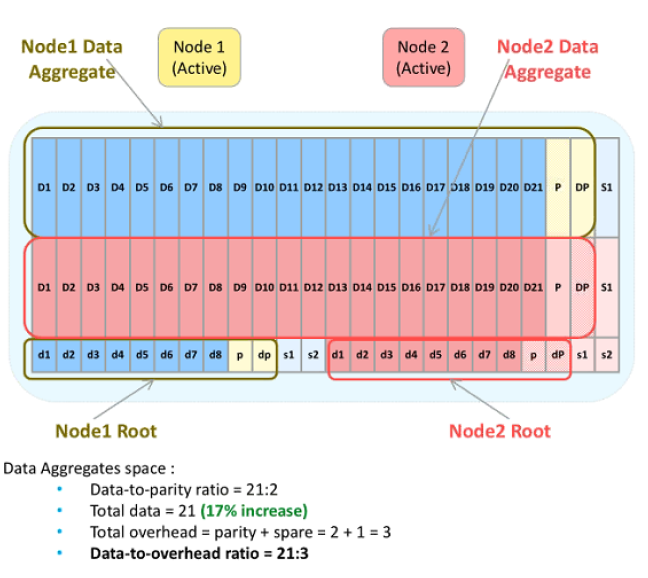 ● Increased Fibre Channel (FC) scalability – Element OS 9 doubles the number of FC node connectivity in a SolidFire cluster to four, allowing users to scale out to 40 storage nodes. 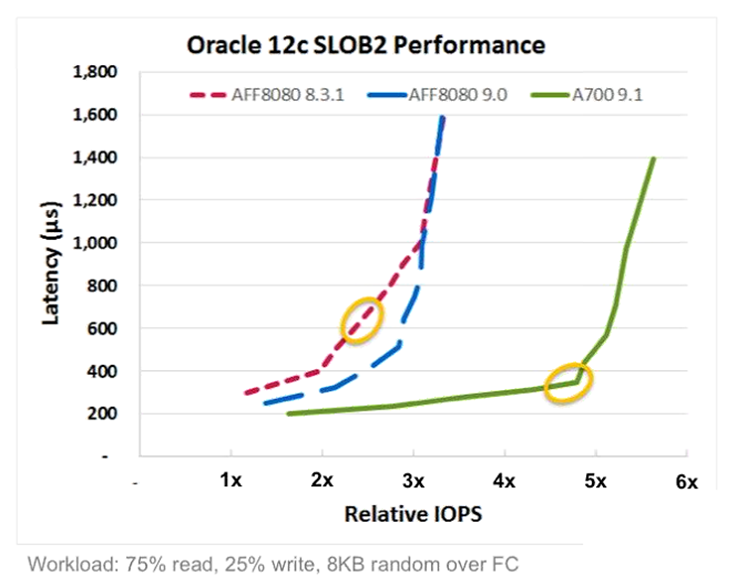 Fluorine also increases the limit of IOPS per FC node from 300,000 to 500,000 IOPS, resulting in 2,000,000 IOPS per a four-FC node cluster — over three times better aggregate performance. ● Expanded VLAN features – New features within Fluorine allow for tagging default networks and supporting more flexibility in multi-tenant networks by enabling customers to use overlapping IP addresses on VLANs via separate routing tables, preserving limited IP address resources. ● New user interface (UI) – Re-built from the ground up, the new UI consolidates the storage system data into a single dashboard, saving customers time and resources. 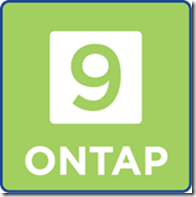 NetApp Announces ONTAP 9! All Release Info Here! Technical references to specific Data ONTAP products—including clustered Data ONTAP, Data ONTAP 8.x, and Data ONTAP operating in 7-Mode. So why the name change and why now? In a word, simplicity. 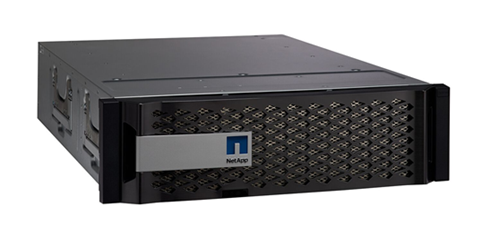 NetApp is heading in the right direction here. NetApp has never been known as the array that’s the most simple to use and operate, but you’ll see that with ONTAP 9 and all utilities going forward this will be a major focus for NetApp and it starts with the name change. 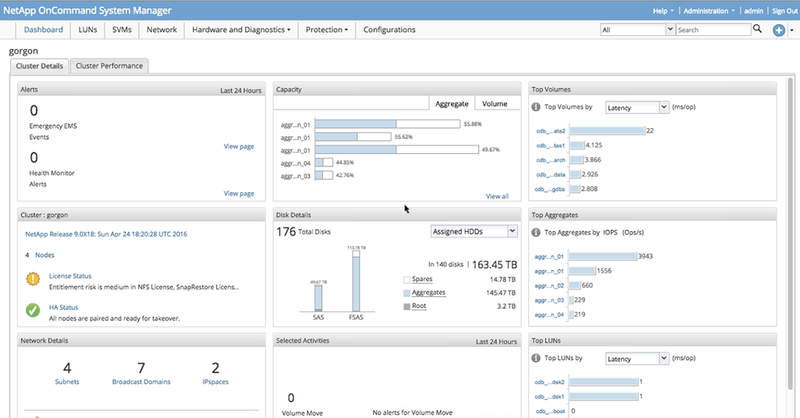 A good portion of what’s new in the ONTAP 9 release is to simplify deployments and operations. This is not meant to be a full list, just some of what I think is really cool. 1. 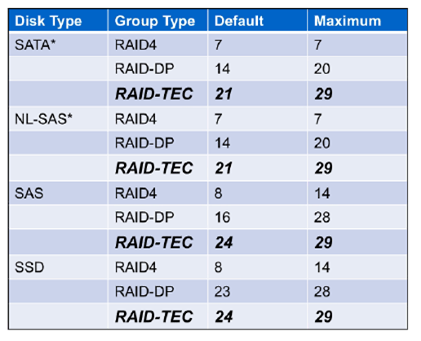 New RAID format: RAID-TEC (Triple Erasure Encoding). 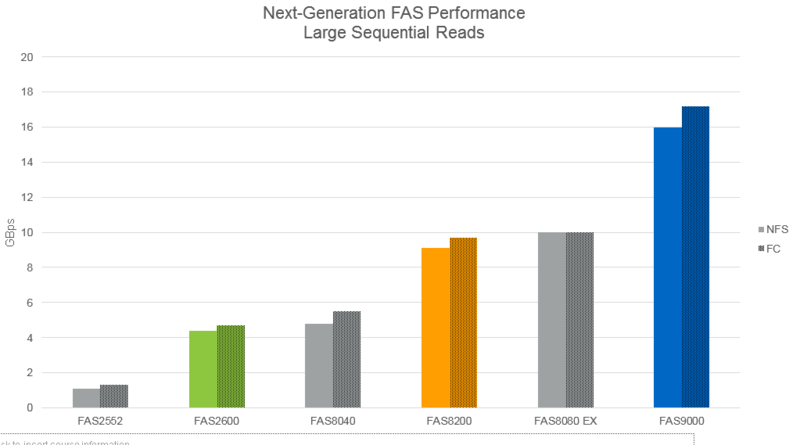 This new RAID format is designed for triple parity protection for the larger SATA and SSD disk sizes. This will essentially allow for much larger RAID Group sizes on the large disks. Translation: More usable space and better protection of large drives sizes. 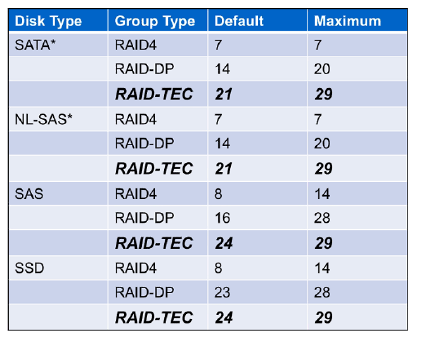 RAID-TEC will be the default going forward on any drives 6TB and larger and required for drives 10TB and larger. You will be able to covert existing RAID-DP aggregates non-disruptively to RAID-TEC groups as well. Keep an eye out for an upcoming blog post for more in depth breakdown of RAID-TEC. 2. New inline data reduction technology: Compaction. 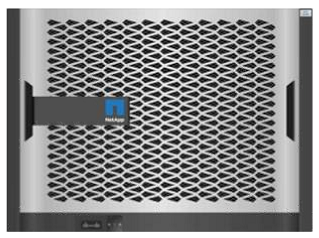 From the company that pioneered data dedupe and compression on tier 1 data, comes a brand new technology from NetApp: Compaction. So what the heck is Compaction? 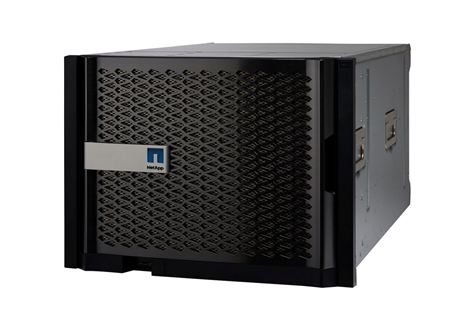 First of all, NetApp currently has inline dedupe and inline compression. Compaction works inline in conjunction with dedupe and compression. 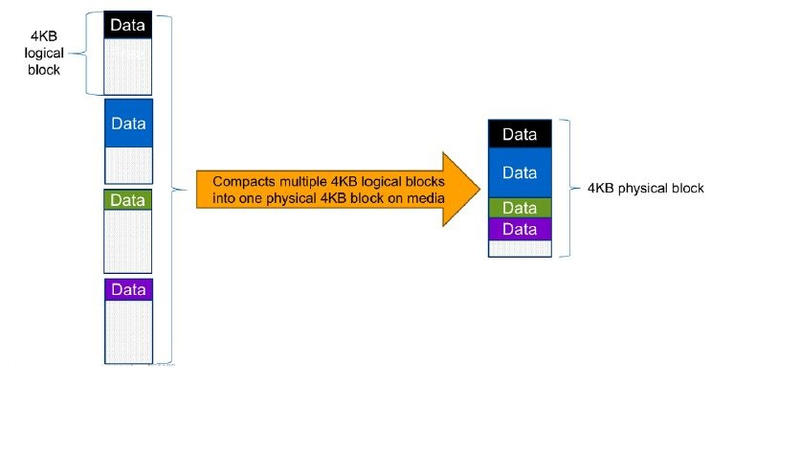 The idea of compaction is that storage space usage can be considerably reduced if multiple I/Os or files can be stored together in a singular 4KB block. Compaction happens on logical blocks as they are being organized before being written to storage. NetApp claims this process uses very little CPU and has no performance impact. I’ll detail the space savings on existing volumes as soon as I have a chance to try out this new tech. 3. Onboard Key Manager for Full Disk Encryption at rest! Making full disk encryption more easily accessible is always a good thing. 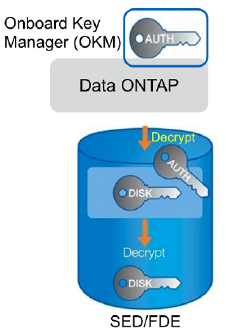 One of the most welcome features of ONTAP 9 has to be onboard key management. This feature was designed to quickly and simply deploy encryption at rest technology. Only a single passphrase is required to set this up. All keys are automatically generated and stored locally in the ONTAP cluster. Most importantly, no need to manage encryption keys! Of course, external key management (KMIP) servers are still supported as needed, but I’m digging this new feature. 4. 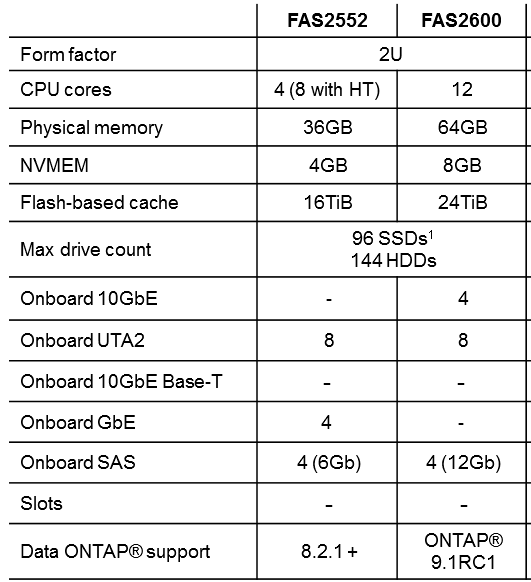 Advanced Data Partition Enhancements – NetApp has put a ton of work into enhancing the “ADP” feature that was release in ONTAP 8.3. If you recall, the idea of this feature was to return a ton of usable space that was locked up in the required root aggregates in ONTAP. This ended up being a huge improvement in usable space from RAW. The new enhancements in ONTAP 9 take this idea and expand on it further, which is now even more critical with the larger SSD drive sizes hitting the street. NetApp estimates that the changes in ADP will return 17% more usable space in 24-drive configurations vs 8.3.x implementations. Not bad at all. SnapLock returns. If you remember this feature from the 7-mode days, this gives storage operators WORM capabilities and greater compliance with data retention requirements by being able to lock data in place and guarantee that it has been unaltered. All Flash Performance Enhancements. 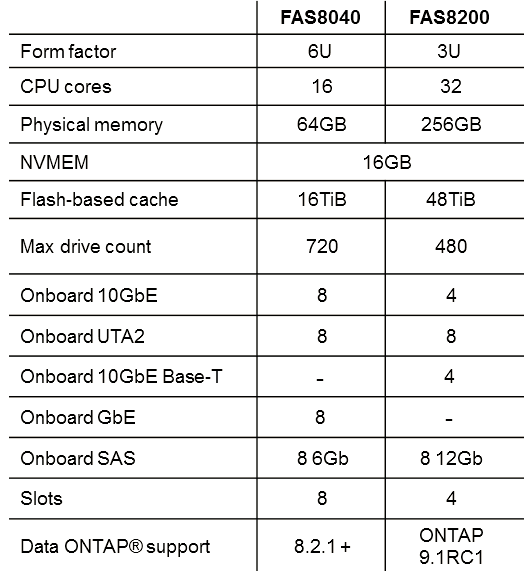 It seems that every release from NetApp bumps up performance on all-flash configurations, and ONTAP 9 is no different. 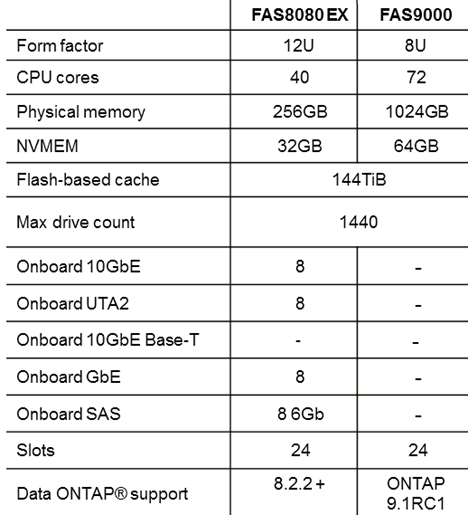 NetApp claims that ONTAP 9 should produce 60% more IOPS versus 8.3.1 code. Faster take over and give back performance. Planned and unplanned failovers should be much faster in ONTAP 9 vs. previous releases. NetApp is claiming ONTAP 9 should have these events down to 2-15 seconds. Enhanced Analytics. Keep an eye out for a new “head-room” metric that works in conjunction with the upcoming OnCommand Performance Manager 3.0. The idea of this new feature will be to show how “utilized” each node in a cluster is. This provides insight into how much additional workload your system is able to handle. ONTAP Select – This one is going to require a whole dedicated blog post for, so keep an eye out for that. 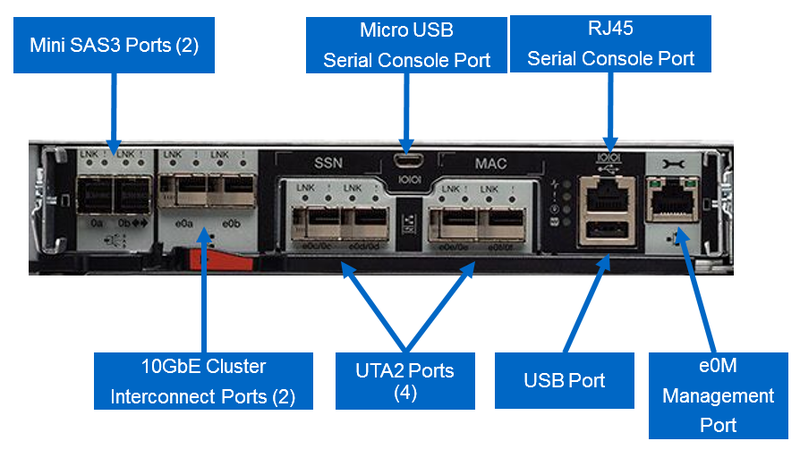 In a nutshell this is a full ONTAP 9 single node or 4-node cluster that runs as virtual machines on any hardware. This is the full goodness that is ONTAP with the full flexibility to run on any commodity hardware! This is certainly an evolution of ONTAP Edge, but EDGE was never multi-node clusters with HA. More to come on this. With all that is new with ONTAP 9, let’s not forget about all the new hardware announcements as well. 15.3 TB SSD – Yes, you read that right. Don’t let the start-ups let you think they’ve cornered the market on innovation. 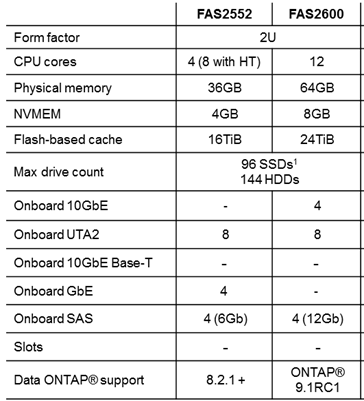 NetApp is first to the market with 15.3TB SSD in a 2.5” form factor. Imagine a single 2 rack unit high – 24 drive shelf full of 15.3TB SSD drives. 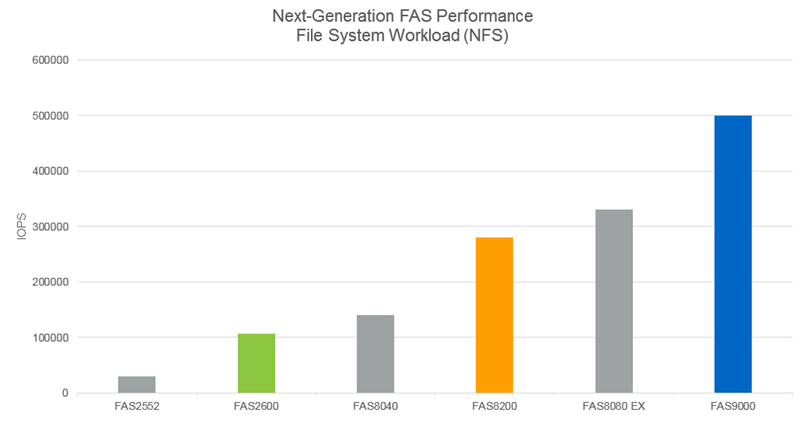 NetApp is now estimating a 4:1 effective capacity on All-Flash FAS running ONTAP 9. If those numbers hold, a single shelf of these drives would yield over 1PB effective capacity! New 12GB SAS Disk Shelves –With shiny new SSD drives we’re going to need some new SAS shelves, correct? In step the new 12GB SAS drive shelves. Take a look at the new drive shelves being announced below. Historically the last digit in the NetApp shelf ID has been the SAS speed of the shelf. So why “C” you ask? “C” just happens to be “12” in hexadecimal. Want to try on ONTAP 9 for yourself? Neil Anderson over at FlackBox.com has produced a free ebook on how to set up an ONTAP 9 simulator on your workstation to try out all the lovely ONTAP goodness. You can get the free ebook HERE. Thanks Neil!